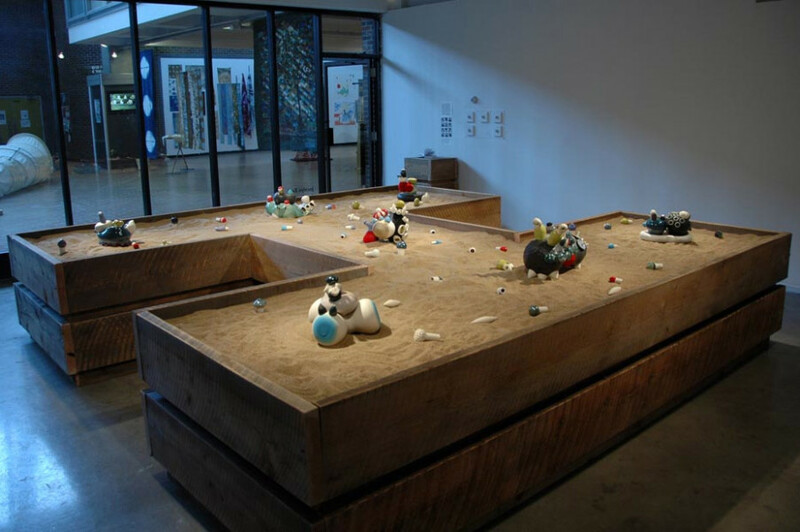 Fir panels, plywood, play sand, ceramic, glazes, flocking, rubber dip, spray paint, silicone, o-rings. 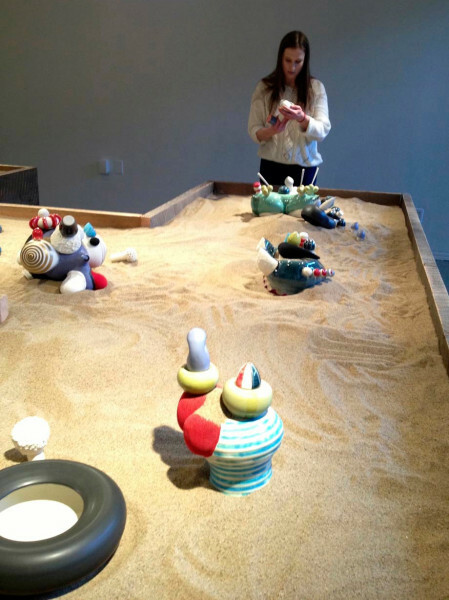 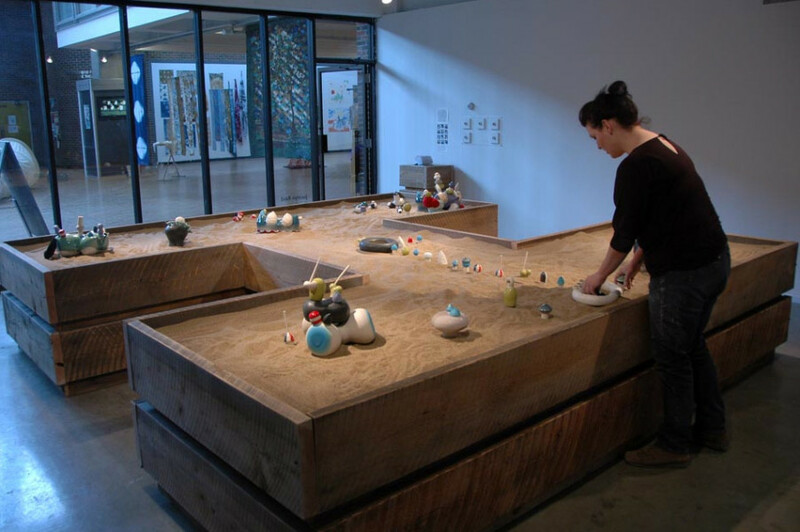 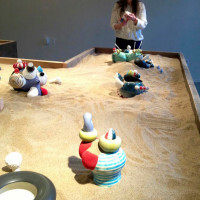 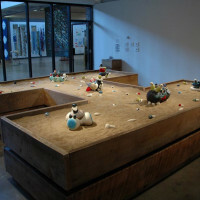 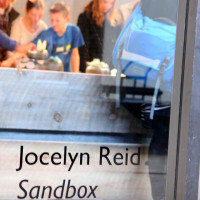 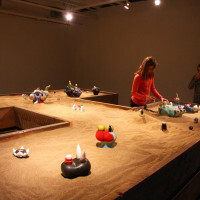 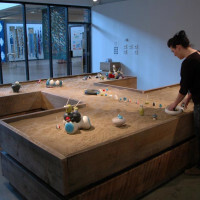 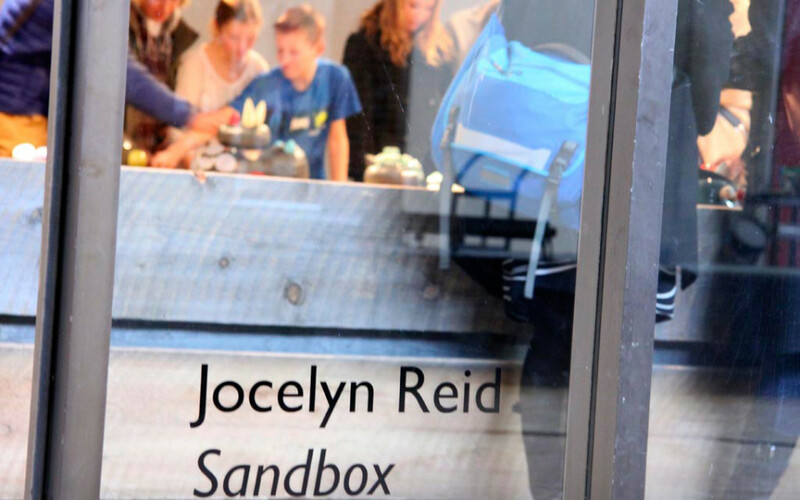 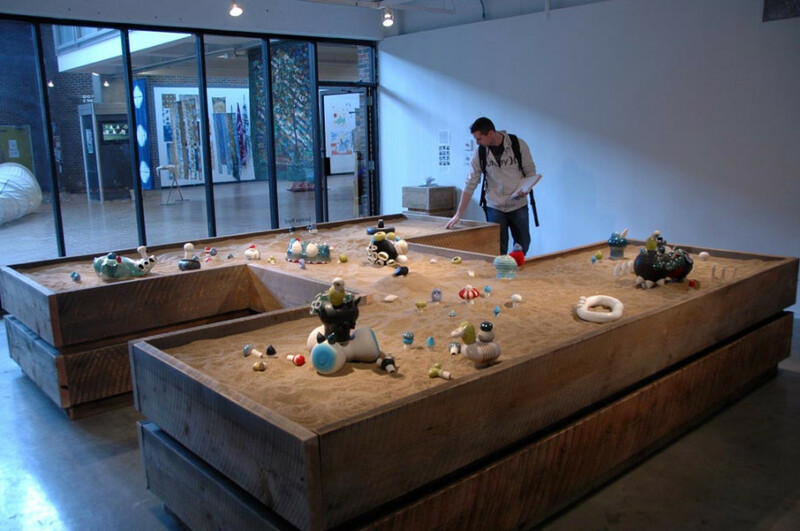 Sandbox was an interactive exhibition of ceramic work. 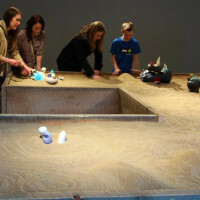 The show featured seven ceramic sculptures placed in an fourteen-by-fourteen foot wooden box, which was filled with over 900 pounds of sand. 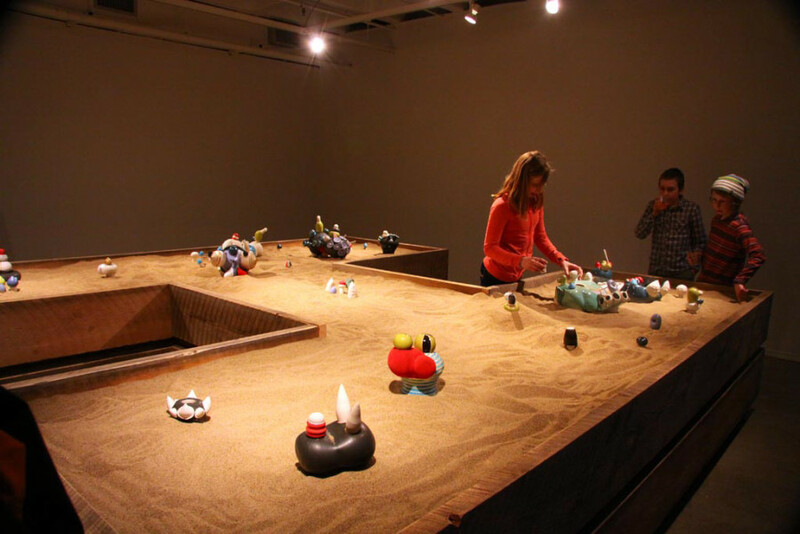 Each sculpture featured removable and interchangeable parts, allowing them to be manipulated and changed. 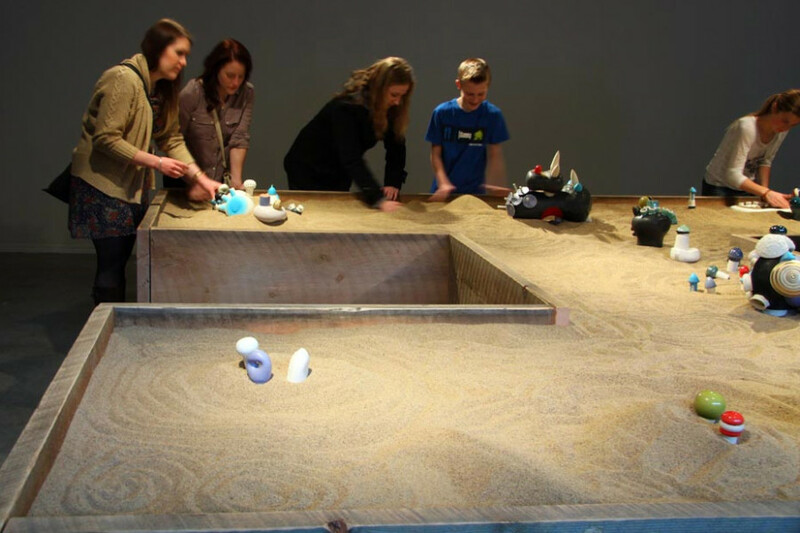 The general public were invited to explore Sandbox beyond a visual appreciation, allowing them to transcend the traditional role of the uninvolved viewer, and become a kind of performer.